Low Mileage Week + Yoga + Friendly’s! A few things to note before getting to my workouts! This was a major low mileage week. It was way too cold for me to run outdoors aside from yesterday and the treadmill really wasn’t working for me beyond one 30 minute run. When I say the treadmill wasn’t working for me, I mean it was mentally not clicking with me this week. I was just not interested and I don’t need to push myself to run on the treadmill if I truly don’t feel like doing so because I know that these weeks happen, especially in the winter, and it’s totally fine. I mentioned in Friday’s post that I went back to the yoga website, Do Yoga With Me, for the first time in a while. I’m not sure if yoga will continue to be a regular addition to my weeks but I liked the added option and change of pace. It’s nice to do something different, especially in the winter when I don’t want to leave the house. Or run on the treadmill. 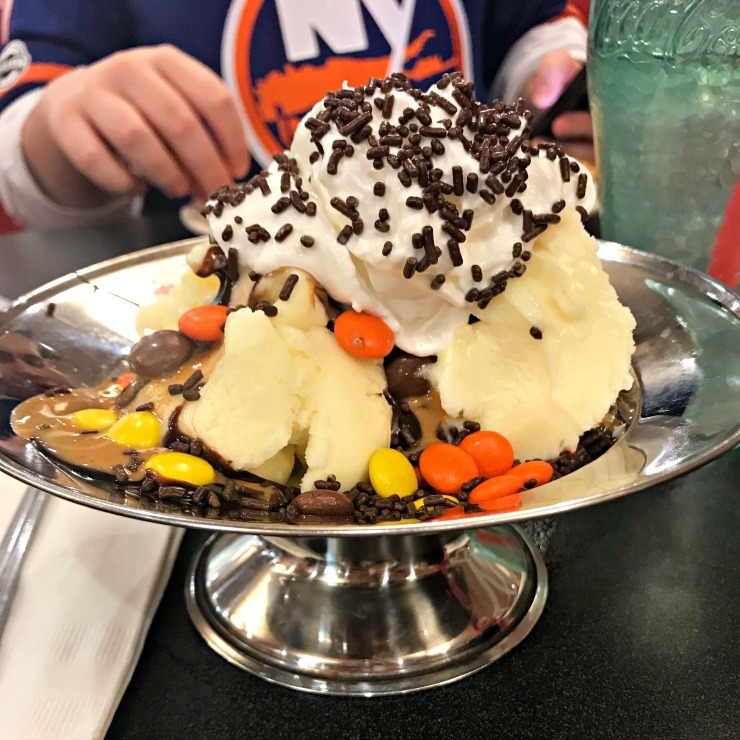 Flashback post: In 2015, we stopped for the Friendly’s Crowd Pleaser sundae after what was supposed to be the last ever regular season home game at the Coliseum. So glad we are back at the Coliseum again for many reasons including the ability to stop on the way home at Friendly’s! I know. When was the last time I did yoga?! I had the sudden urge for yoga this morning so that’s what I did. I combined two, 20-minute yoga practices from Do Yoga With Me. Longtime readers may recall I used to do the yoga for runners series quite often a few years ago! Yoga For Runners: Pre-Run – a former favorite of mine! Beginners’ Yoga For Leg Strength – I had never done this one before and really enjoyed it. The time went so fast, I couldn’t believe it. 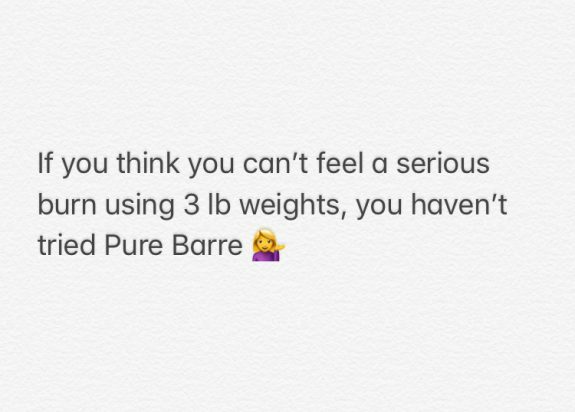 And, my balance is amazing which I attribute all to Pure Barre. Note: I do have the tendency to get dizzy so I have to be careful with the forward folds. 3.5 miles right at the 30-minute mark. 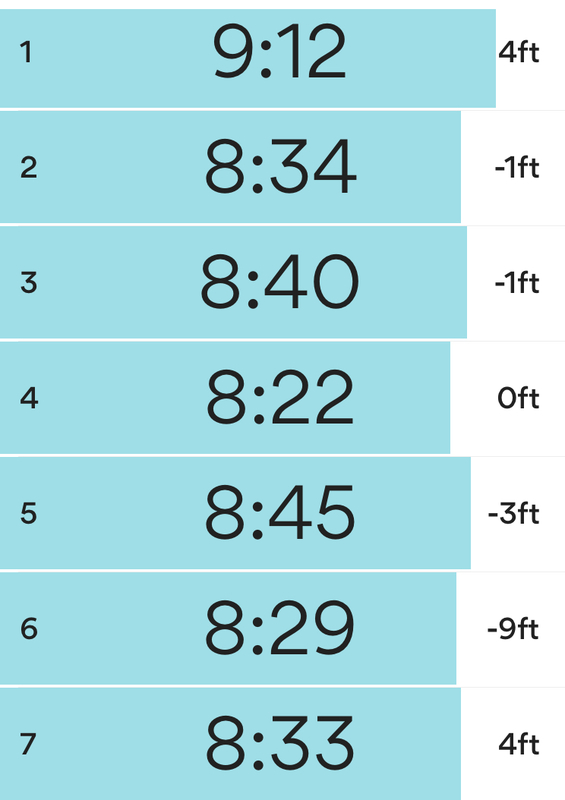 This run was a mix of ranging inclines at lower speeds with speedier minutes in between. I also tried this 8-minute desk relief yoga practice. The particular Pure Barre workout (which has an extra focus on arms) that I did today has always been one of my favorites. I want to call it challenging BUT all Pure Barre workouts are challenging. Maybe the best term is intensely effective. Either way, this arm-focused workout gets my heart rate up and really does incorporate every body part basically the entire duration of the workout. Today was the bitter chill day for us and although I did leave the house in the morning to drive my son to school, I did not feel like stopping at my gym. The thought of warming up on the treadmill was not at all appealing to me. I thought I felt fresh and ready to run today, given how I barely ran this week. However, that one mile on the treadmill felt like forever even though it was about 9 minutes. I knew that staying on the treadmill was only going to upset me so I hopped off and switched to the elliptical. Still too cold for me to run outside (but I plan to run outside tomorrow!) so I headed to the gym. I didn’t want to do a Pure Barre workout, didn’t want to run on the treadmill or do the elliptical which meant incline walk for today. I ranged my incline from 7 – 12 with speeds between 3.8 – 4.5. I did run 5 minutes after walking 20 minutes but I really wasn’t in the mood to continue running so I switched back to walking. THIS FELT SO NICE. The temperature was around 40 degrees. It was glorious. How was your week in workouts? Anything not clicking for you? Have you been able to run outdoors recently? I’m so happy for you that you got to run outside! It makes a world of difference in winter. That sundae looks delicious! I am in love with yoga! I don’t do anything else anymore and feel better than ever! The Reese Pieces are a nice addition to the sundae. Yay for Friendly’s and the Islanders being back in their rightful place!! So glad you’ve rediscovered yoga; I’m personally a HUGE fan and its become a really lovely and important part of my weekly workout routine over the past couple years. Provides the perfect balance to the more intense workouts I do, and it’s amazing how present and strong in my body I feel during every workout. Highly recommend trying out Yoga with Adriene on Youtube; she’s what first made me fall in love with yoga!